1. My first time ever waiting in line at midnight for a book! It was so exciting to sign up for these books and go and wait for them to be released with all the Pott-Heads! 2. 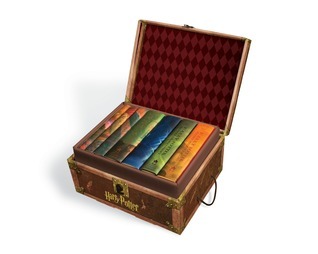 After receiving the new Harry Potter books, they would never leave my side. I would literally have it attached to me at all times until I was finished with reading it 2 times through! 3. Getting 85% through Harry Potter and the Half-Blood Prince when Dumbledore was killed and I was seriously stunned! I put the book down and didn't read the ending for over 2 weeks. TRAUMATIZED! 4. Reading with books on tape- I have always been obsessed with reading and when no one would read to me as a child, I would go to my huge collection of books that came with cassette tapes (yes, yes this was A LONG time ago). I loved those tapes and even after I could read I would spend hours listening to them anyway. 5. 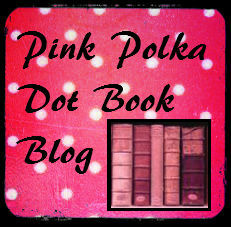 Starting my blog- Ok so not truly a book memory, but my blog is bookish so I think it counts. 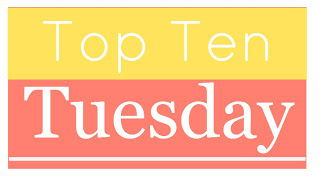 Starting my blog has been so fun and time-consuming, and awesome! I love the blogging community and all you guys! 6. 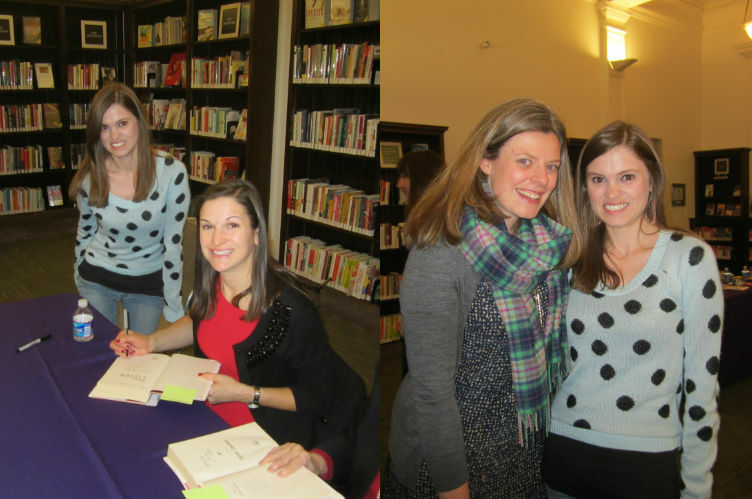 Meeting Sarah Dessen & Siobhan Vivian last month! It was SO awesome to meet S.D. because she was the main reason I came back to YA. After I read Just Listen, I knew where my true book interests were. It was also super-cool and surprising to meet Siobhan Vivian there! I didn't know she was doing the intro and there she was! I got to talk to her afterward and she is SO freaking nice!! She's definitely one of my new favs! 7. 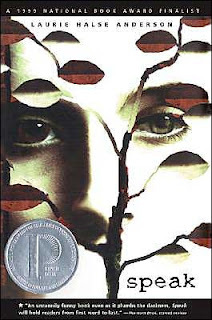 Reading Speak by Laurie Halse Anderson- this book changed my life. I can't even explain how, but I was this one person before I read it... and I was changed afterwards. Definitely one of the most powerful YA books of all-time, IMO. 8. 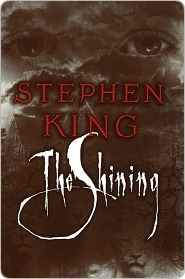 The Shining by Stephen King- ok so long story... I got this copy of The Shining and I'm not even sure where, but there's something weird about it. I've moved quite a bit in the last 10 years and every time I move my books go into boxes and these boxes end up who knows where... well 2 separate times I've gone looking for books and ended up finding The Shining and when I picked it up pictures fell out. Pictures of little kids that I have never seen before. And no one I know has ever seen these kids before. One time it was white kids and another time it was black kids. I currently don't know where the book is, but I'm scared to find it again... where did these pictures come from? I still don't know. 9. Going to the library in Virginia when I went to visit my aunt every summer and getting TONS of Fear Street by R.L. Stine. My library at home had no Fear Street, so when I visited her I had 2 glorious weeks to read as many as I could get through! 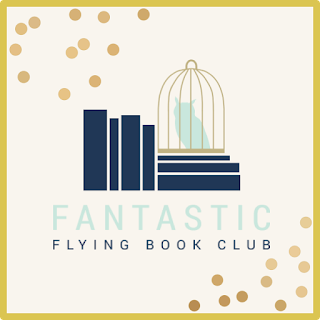 Well that's all I got for this week... what were your best bookish memories?? Leave me your link and I'll check it out! I've never read any Sarah Dessen but you're the second blogger to list meeting her as a top bookish memory so maybe I'll have to take a look. Also, cutest polka dot sweater ever. Yes she's pretty awesome! And thank you! 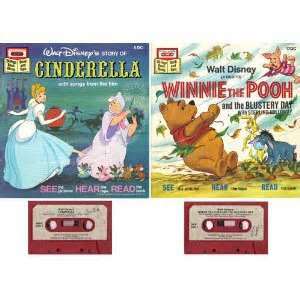 I TOTALLY had those Disney tapes too! Fantastic list. I was wondering how the SD event went. I read an article on Publisher's Weekly about it, and it sounded amazing. (I just got approved for the galley on NetGalley and I about died. As soon as I get through the others I've download, I'm reading it. So excited!) I'm glad you enjoyed it! I'm so jealous. She needs to come to my area! Ahhh I didn't know it was on NetGalley... just requested it and keeping my fingers crossed!!!! I used to love my read-along with the tape books, although I used to get my mum to read them anyway - kinda defeated the point, but hey! We have a bunch of books in common! So weird about the Shining!!!! Your books on tape are soooo retro and very cool! And, I am totally there with you on the Harry Potter midnight releases! I need more bookish memories like that! Great list! 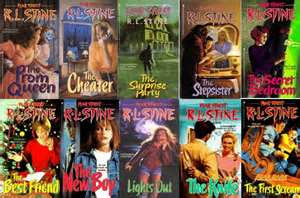 My library had all the Fear Street books (I lived in a small town) and pretty much all of the 'YA' 'horror' but I didn't really like any of them. But because of lack of other reading material I ended up reading some anyway. Mostly I just skipped to adult though. All those tape books you showed us, YES! 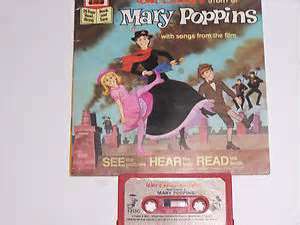 As a kid we always got lots of books on tape and I LOVED them! I don't see how they kept those things around though. My children would have them ruined in one day. You are so lucky you met SD and SV! I love them both! Hello!! 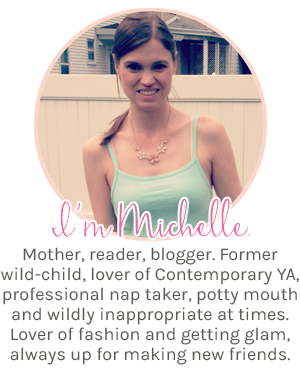 I found your blog through Project Fairy Tale, I love the polka dots! I HAD to comment on this post...the info about The Shining...? SCARIEST THING EVER. I can't believe it! I don't know if I would keep the book or get rid of it to be honest! Have you looked through to try and find more pictures? LOL! I can't get over it! Hi!! Thanks for visiting me :) I *think* the book is in the attic above my garage right now, but I'm not ready to go looking for it yet. My husband says if he finds it he's throwing it out bc he's convinced it is the devil LOL. It is pretty freaky to find pictures of people you don't know in your house and espec. in a book as scary as The Shining (and on 2 separate occasions).